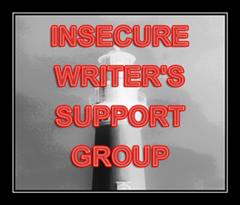 Today is the monthly Insecure Writers Support Group post and I am flip-flopping between positivity and insecurity. I should feel positive having completed the 100k in 100 days challenge that began on January 1st, and then plunged straight into the Blogging from A to Z Challenge, completing that as well. I may be exhausted but I’m still writing, although not as frenetically. However, my A to Z Challenge failed as my posts were too long – details on my last blog post here. And I still shuffle my way forward over getting something published. It should be ‘best step forward’ as I am productive, but there is too much unfinished and unresolved. And how do I get the work published? 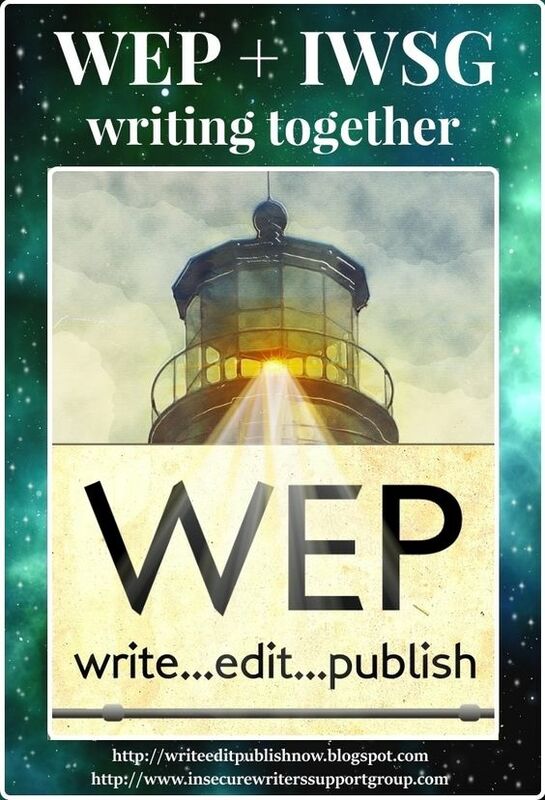 I see better writers than me self-publishing, but I lack the means to do that – starting with the health to cope. I’ve been looking around at small presses but I fear that my writing is not suitable, and my promotion skills are lacking. Or does “Storms Compass” fit into the new interest around novellas? I need to add an overarching plot that will weave the stories together, but the length might remain within the shorter length – and the tales have been professionally edited. 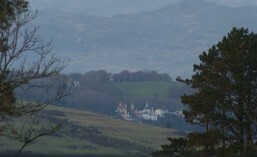 And if novellas are the future, what do I do with my plans for the Snowdon Shadows series? They will be full-length novels as they stand. Or do I trim them to the skeleton? Where do I go? Purpose of the IWSG day: To share and encourage. Writers can express doubts and concerns without fear of appearing foolish or weak. Those who have been through the fire can offer assistance and guidance. It’s a safe haven for insecure writers of all kinds! The awesome co-hosts for the May 6 posting of the IWSG are Eva Solar, Melanie Schulz, Lisa-Buie Collard, and Stephen Tremp! Reflecting on how I survived the Challenge is hard, but I do know that I’m wearing the T-shirt as I write – and I’m okay. This post will be shorter than others as I suspect that you have had to read too many of my words during. I realised as the month unfolded that my posts were too long, although I hope they were informative about ‘The War of 1812’. 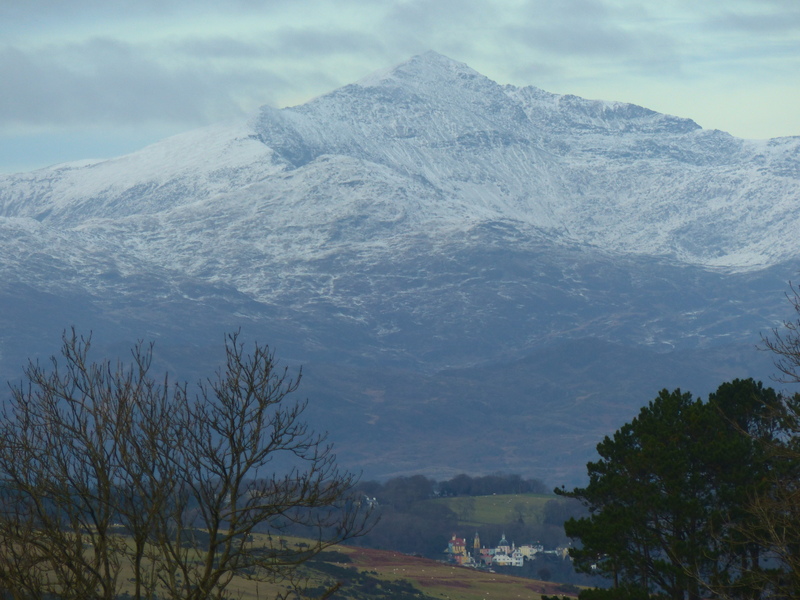 The research will be useful when I eventually get back to my novel “Seeking A Knife”, although I need to concentrate on the novel preceding it in the Snowdon Shadows series. Writing the posts and updating/amending them as I went along took too long, and left me with too little time to visit many other bloggers, even some of my regular haunts – apologies. Alex Cavanaugh – the Ninja Captain is always worth visiting but how does he do it? So inspired by the way that others approached this challenge, and encouraged by the way that it has been organised, I am now looking forward. Next year I will plan better, and choose a short post theme – letters of the alphabet. Just kidding. Not sure what I will do but will be something easier for everyone, especially passers-by. Suspect that the window-shoppers take one look and run. For more reflections by other blogging survivors, visit here. Details on my 2015 A to Z theme and a linked list of posts can be found on my A to Z Challenge page, which also has a linked list of my 2014 posts. 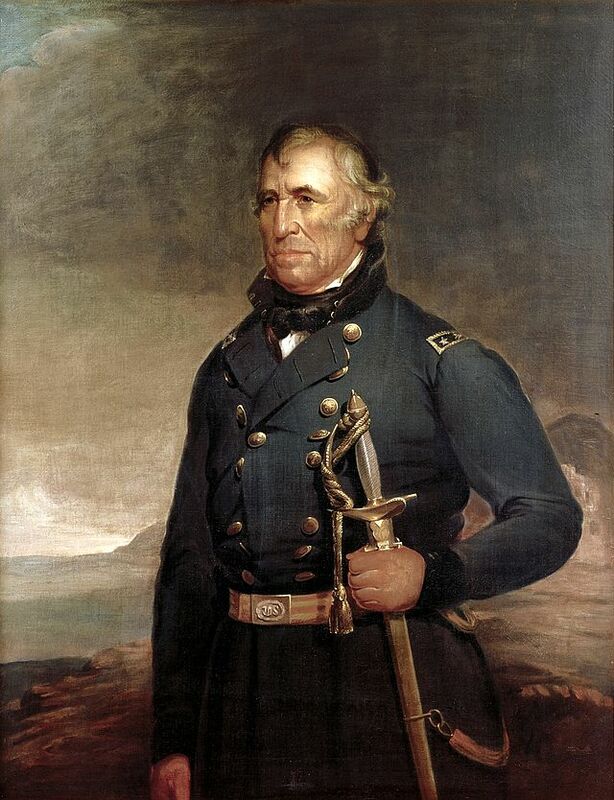 Zachary Taylor (November 24, 1784 – July 9, 1850) was the 12th president of the United States, serving only 16 months in office from March 1849 until his death on July 9 1850 from acute gastroenteritis. Taylor was born near Barboursville, Virginia to a prominent family of planters who migrated westward to Kentucky in his youth. He received only a rudimentary education but was well schooled in the frontier skills of farming, horsemanship and using a musket. In 1808, he left home after obtaining a commission as a first lieutenant in the army. In 1810, he married Margaret Mackall Smith, and they went on to have six children. 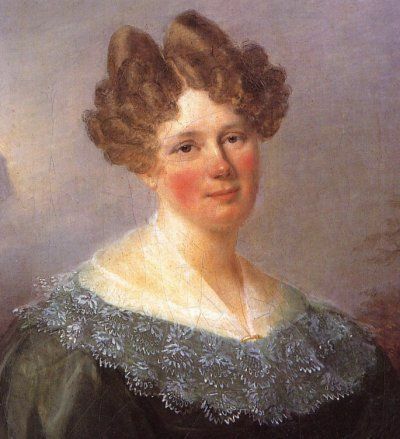 Their second daughter, Sarah Knox Taylor, would marry Jefferson Davis, the future president of the Confederacy, in 1835. During the War of 1812, Taylor successfully defended Fort Harrison in Indiana Territory from an Indian attack commanded by the Tecumseh. Later that year he joined General Samuel Hopkins as an aide on two expeditions: the first into the Illinois Territory and the second to the Tippecanoe battle site, where they were forced to retreat in the Battle of Wild Cat Creek. Taylor moved his growing family to Fort Knox after the violence subsided. In October 1814, he supervised the construction of Fort Johnson, the last toehold of the U.S. Army in the upper Mississippi River Valley. A few weeks after the death of his commander, Brigadier General Benjamin Howard, Taylor was ordered to abandon the fort and retreat to Saint Louis. Reduced to the rank of captain when the war ended in 1815, he resigned from the army. He re-entered it a year later after gaining a commission as a major. Taylor’s status as a national hero as a result of his victories in the Mexican-American War , won him election to the White House despite his vague political beliefs. His top priority as president was preserving the Union, but he died before making any progress on the status of slavery, which had been inflaming tensions in Congress. Of course I could have chosen Brigadier General Zebulon Pike, who led the Pike Expedition as a Captain in 1806-7, and for whom Pikes Peak in Colorado is named. The same Zebulon Pike that led the American troops at the Battle of York, where he was killed (My letter Y.). 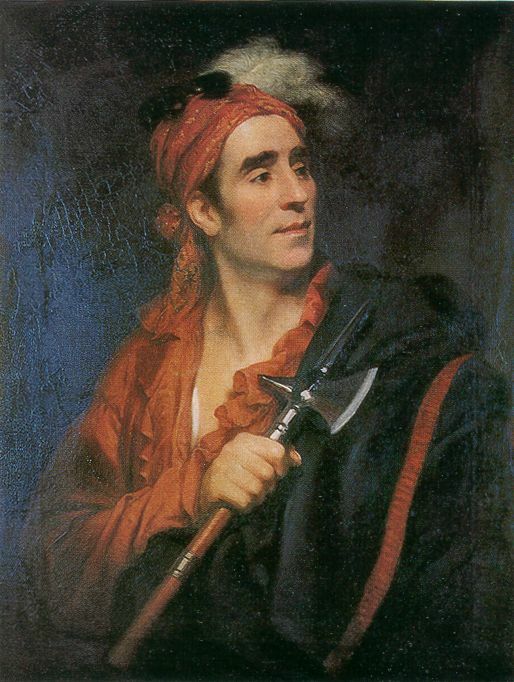 And finally, there is Reverend Zephaniah Wendell, the youngest brother of Talcott Wendell, my fictional memoir writer from the War of 1812 in “Seeking A Knife” – the beginning of this journey back in time. 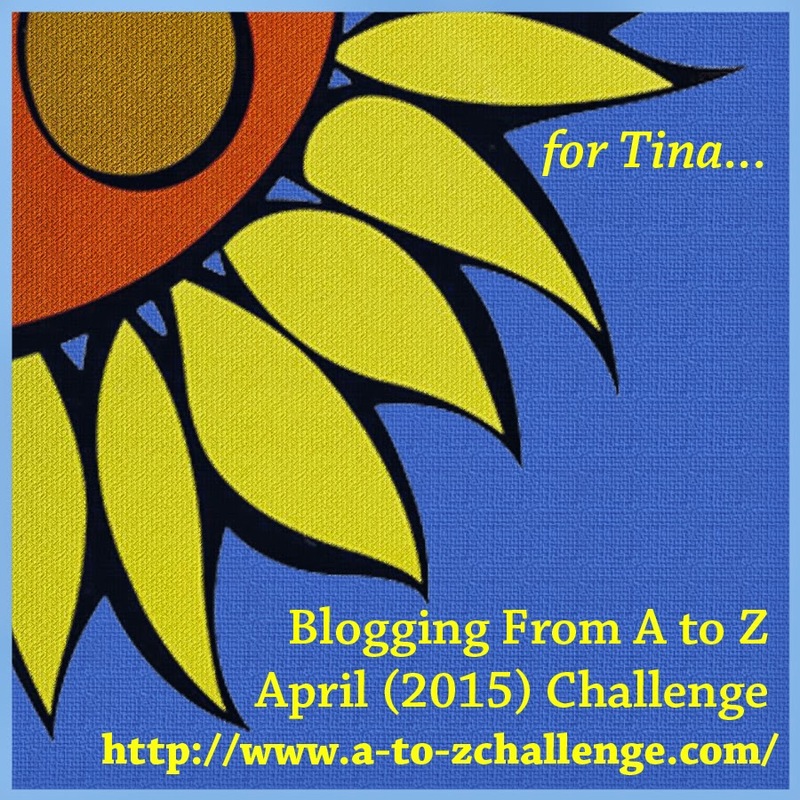 The brainchild of Arlee Bird, at Tossing it Out, the A to Z Challenge is posting every day in April except Sundays (we get those off for good behaviour.) And since there are 26 days, that matches the 26 letters of the alphabet. On April 1, we blog about something that begins with the letter “A.” April 2 is “B,” April 3 is “C,” and so on. Please visit other challenge writers. My theme is ‘The War of 1812’, a military conflict, lasting for two-and-a-half years, fought by the United States of America against the United Kingdom of Great Britain and Ireland, its North American colonies, and its American Indian allies. The Memoirs of a British naval officer from the war is central to my novel “Seeking A Knife” – part of the Snowdon Shadows series. The Battle of York was fought during the War of 1812, on April 27, 1813, in York (present-day Toronto), the capital of the province of Upper Canada (present-day Ontario), between United States forces and the British defenders of York. U.S. forces under Brigadier General Zebulon Pike were able to defeat the defenders of York, comprising a British-led force under the command of Sir Roger Hale Sheaffe, combined with a small group of Ojibwe allies. An American force of approximately 1700 men, supported by a naval flotilla of 16 American ships under Commodore Isaac Chauncey, landed on the lake shore to the west, suppressed the small group of warriors defending the shore, while knocking out the town’s meagre batteries. With the fort poorly defended by an undersized garrison of 700 soldiers and backed by an unenthusiastic (indeed, almost wholly absent) militia, the Americans captured the fort, town and dockyard. To circumvent looting, Sheaffe had ordered all valuables to be destroyed before retreating. A ship, then under construction, was burned, the naval stores were destroyed, and the fort’s magazine was set on fire. Two local militia officers were left behind to negotiate the terms of surrender. 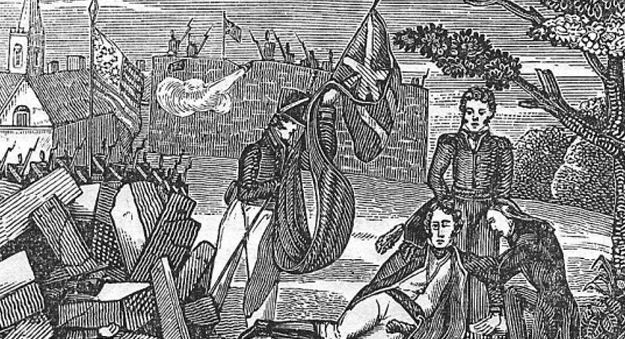 The death of American General Pike at the Battle of York, 27 April 1813 (courtesy Canadian Military History Gateway, Government of Canada). The Americans themselves suffered heavy casualties, including Zebulon Pike who was leading the troops, when the burning magazine blew up with devastating results. The American forces subsequently carried out several acts of arson and looting in the town themselves, before withdrawing. Over the course of their six-day occupation, American troops sacked any home they found deserted, along with several businesses and public buildings. Though the Americans won a clear victory, it did not have decisive strategic results as York was a less important objective in military terms than Kingston, where the British armed vessels on Lake Ontario were based. 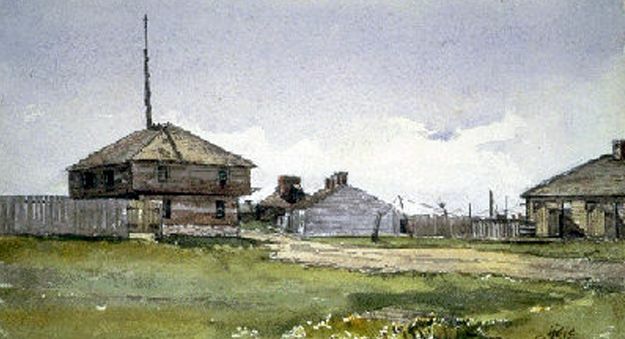 The loss of naval and military stores was crippling, particularly for the British efforts on Lake Erie. Fort York was sacked twice by the Americans during the War of 1812 (courtesy Library and Archives Canada/C-40091). The capture of the capital was an embarrassment for the British, exposing fatal inadequacies in their defences. Indeed, so poorly defended was the town that Chauncey returned in July, landing unopposed to burn several public buildings and boats, destroy a lumber yard, and make off with their supplies. The British attack on Washington in August 1814 was seen as just retaliation. So some of those that fought in the War of 1812, the X-mark signature would have been an easier option than signing their names when required – and a mere description of their appearance didn’t suffice to identify them. Literacy rates in North America ranged from 60% to 90%, but more in the towns. In rural and frontier areas this was much lower, and the figures excluded slaves that were not allowed to read and write, plus many First Nations had a more oral tradition. Great Britain had the highest literacy rate in Europe. However, there is a misconception that people used X’s because they were illiterate. Not so! Literate people also used the X mark on legal documents until about 1860. (And illiterate people often knew how to draw a signature even if they couldn’t read.) What mattered was not the size of your signature but the guarantee by the notary that you were who you said you were. Until 150 years ago, most legal forms were copied by hand by a clerk or scrivener; the notary or lawyer (or the clerk) would then carefully write in the dates and names. All this was done with a quill or steel dip pen, which were difficult for the average person to handle. Although substantial first-person records of the war comes primarily from the educated classes, exceptions are the memoirs written by the British foot solider, Shadrach Byfield, and the American militiaman, William Atherton. Their experiences encompass the full experience of war – battles, injuries, imprisonment and aftermath. And don’t forget James Madison’s personal slave, the fifteen-year-old boy Paul Jennings, who was an eyewitness and published his memoir in 1865, considered the first from the White House. Most of the journals were written by men, such as law student John Beverly Robinson, Mohawk chief John Norton, and well-educated John Pendleton Kennedy. But several diaries and letter collections from women survive, notably of Mrs. Josiah (Lydia) B. Bacon, wife of the U.S. 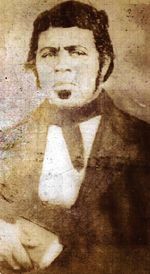 Lieutenant and Quartermaster Josiah Bacon. 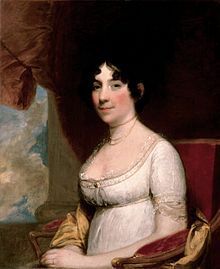 The more famous quotes are from first lady Dolley Madison, whose letters to her sister, Lucy, are the basis for her well-known account of the burning of Washington. Anne Prevost – Anne was a daughter of General Sir George Prevost, Governor General of the British forces in Canada. At seventeen she was a faithful journal keeper, and she made almost daily entries during the time her father was prosecuting the war. The fictional memoirs in my novel “Seeking A Knife” are loosely based on the journal of Lieutenant David Wingfield, Royal Navy. Throughout the history of the United States, the United Kingdom is the only country to have ever burned the White House or Washington, D.C., and this was the only time since the American Revolutionary War that a foreign power captured and occupied the United States capital. In the final summer of the War of 1812, the British presence in the Chesapeake region was strengthened by the large numbers of troops arriving after the Napoleonic wars in Europe ended. This diverted the American forces from the frontiers of Upper and Lower Canada, but despite Britain’s strong naval presence in the region, very little was done to protect the small town of Washington. The American secretary of war, John Armstrong, was convinced that Baltimore was the target, and he was half-right as one British attack came there. However, British forces led by Major General Robert Ross raided the Chesapeake Bay and after defeating the hastily arrayed Americans at the Battle of Bladensburg, the British occupied Washington City on August 24, 1814 and set fire to many public buildings, including the White House (known as the presidential mansion at the time), and the Capitol, as well as other U.S Government facilities including the treasury building, and the navy yard. 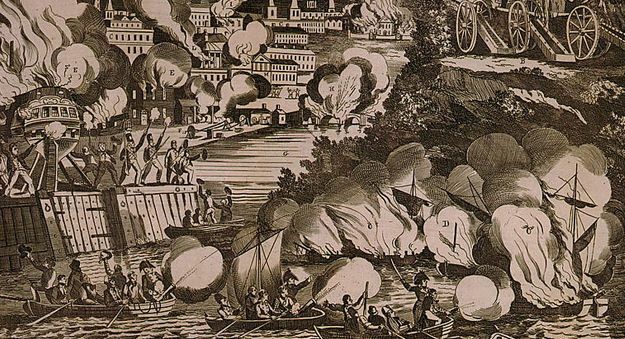 This action was taken as retaliation against the American destruction of private property in violation of the laws of war, including the Burning of York [present day Toronto] on April 27, 1813, and the Raid on Port Dover. Before leaving, later, the First Lady Dolley Madison and the staff managed to save many of the cabinet records and White House treasures. Nevertheless, the extent of the damages was extreme. James Madison’s personal slave, the fifteen-year-old boy Paul Jennings, was an eyewitness and published his memoir in 1865, considered the first from the White House.. Most contemporary American observers condemned the destruction of the public buildings as needless vandalism. Many of the British public were shocked by the burning of the Capitol and other buildings at Washington; such actions were denounced by most leaders of continental Europe. However, the majority of British opinion believed that the burnings were justified following the damage that United States forces had done with its incursions into Canada.